231 Outram Road, 169040, SINGAPORE. 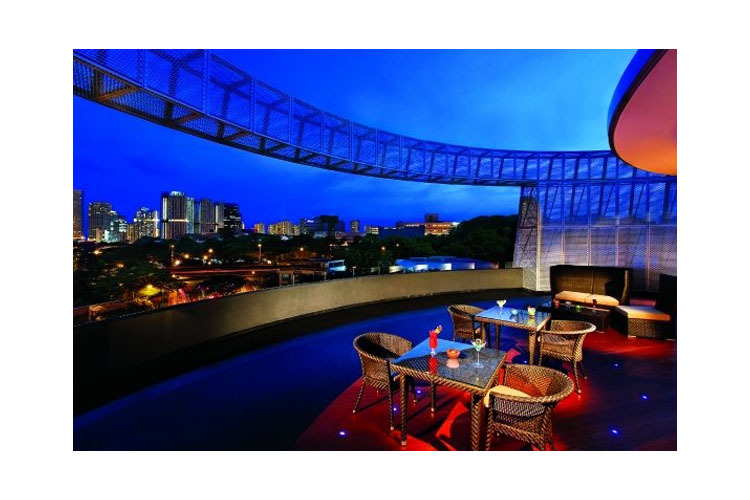 Ideally located between Outram and Tiong Bahru, Wangz Hotel is a new design hotel, set in a unique aluminium-clad round building. 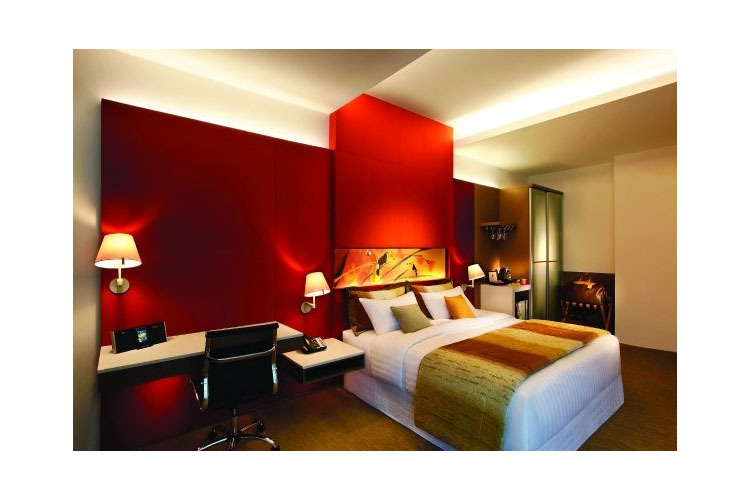 Wangz Hotel offers luxury boutique accommodation, great food and first-class service in an elegant, modern atmosphere. 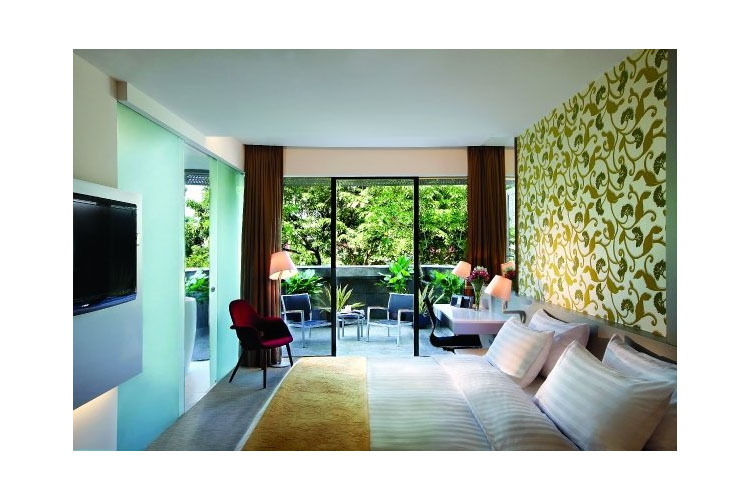 This award-winning boutique hotel is situated just minutes from the Central Business District, Chinatown, and the main commercial area of Orchard Road, and is therefore ideal for relaxing business and pleasure stays in Singapore. 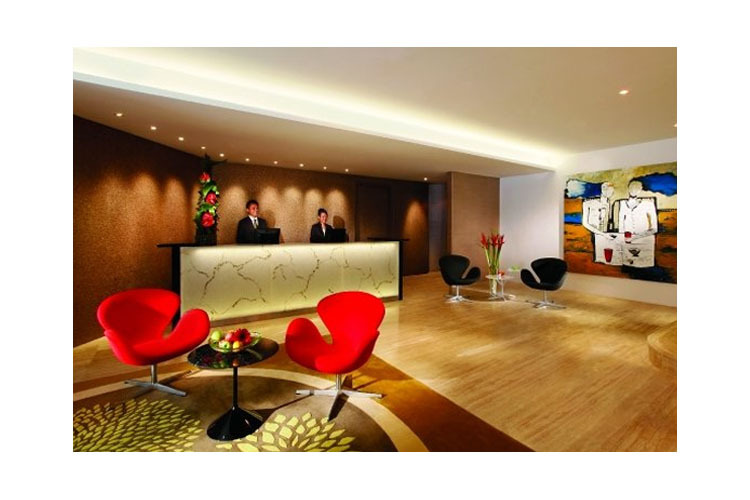 The hotel is a short walk from a number of MRT stations, providing fast and easy links with the rest of the city. 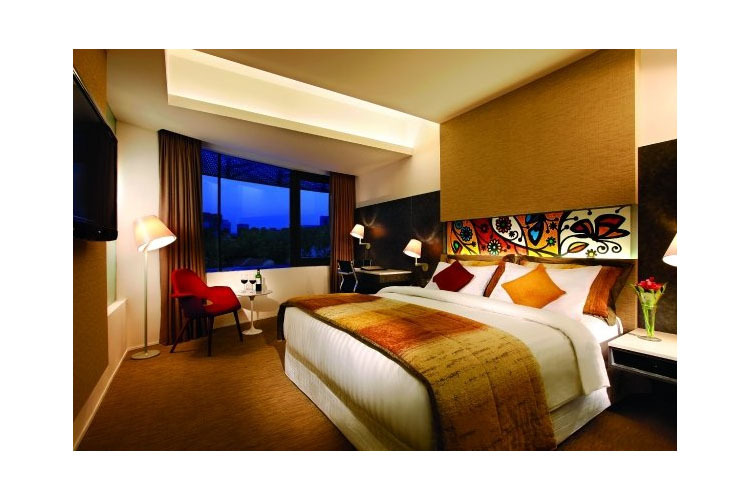 Wangz Hotel has just 41 spacious, elegantly designed and furnished rooms and suites. 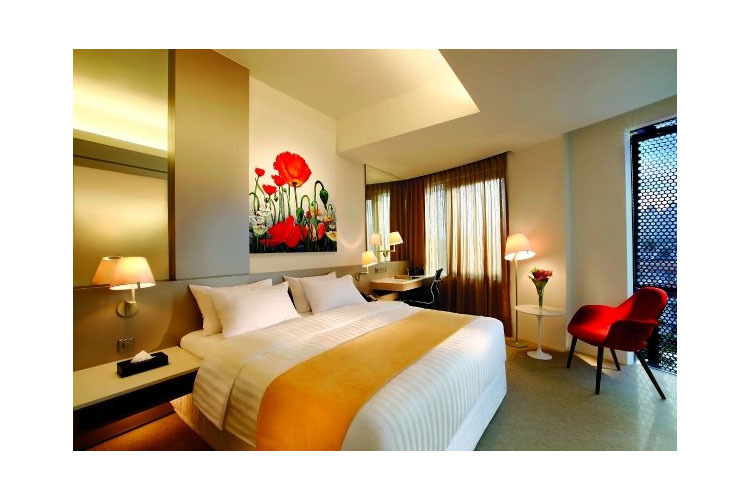 All rooms are air-conditioned, and feature a full range of modern amenities and state of the art technology, while the public area of the hotel houses a unique collection of especially commissioned original artworks. The hotel is also home to two fine restaurants, Nectar, which serves Asian, fusion and western cuisine, and the Rabbit Stash, a new rooftop restaurant and bar. 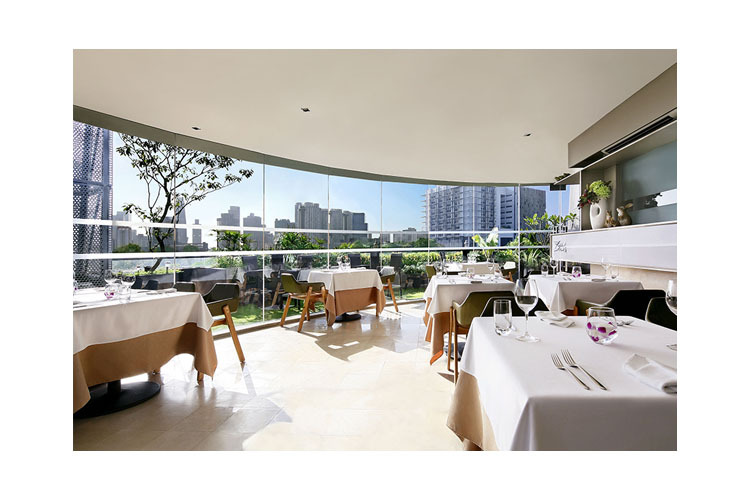 Here, guests can savour the delights created by award-winning chef Matthew Mok, with the accent on contemporary cuisine and Singapore specialities using the finest market-fresh produce and ingredients. The ample 26 to 28 sq m Superior Rooms are elegantly appointed with either king-size or twin Sealy Posturepedic beds, luxurious cotton linens and goose feather down duvet, a pillow menu, complimentary internet access, a 37-inch flat panel TV, universal power outlets, a DVD player, an iPod docking station, tea and coffee facilities, and an electronic in-room safe. Luxurious bathroom comforts include rain shower with a view of the city, piped-in mood music, plush bathrobes, and branded bath amenities. 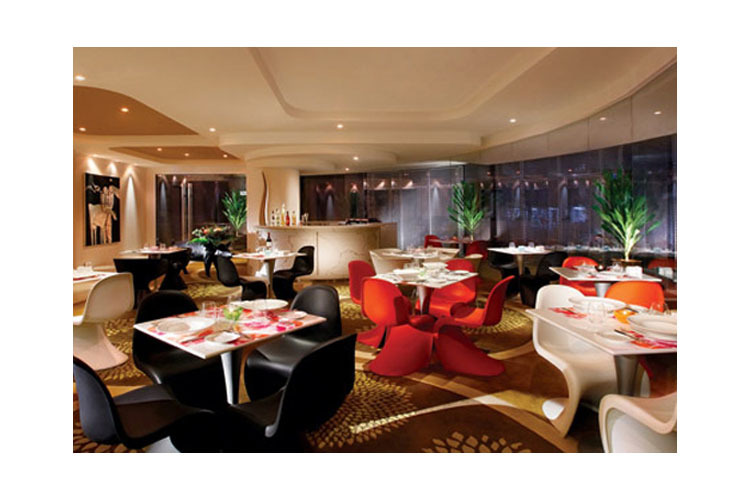 Guests are treated to complimentary selected beverages from the mini-bar as well as breakfast at the restaurant, Nectar. In-line with the hotel's comfort and bold cosmopolitan style, the spacious 32 to 36 sq m Deluxe Rooms are elegantly appointed with either king-size or twin Sealy Posturepedic beds, luxurious cotton linens and goose feather down duvet, a pillow menu, complimentary internet access, a 37-inch flat panel TV, universal power outlets, a DVD player, an iPod docking station, tea and coffee facilities, and an electronic in-room safe. Luxurious bathroom comforts include rain shower with a view of the city, piped-in mood music, plush bathrobes, and branded bath amenities. Guests are treated to complimentary selected beverages from the mini-bar as well as breakfast at the restaurant, Nectar. Experience the quiet calm and inspiring comfort of the Canopy Room. Sink into a luxurious king-size bed featuring ultra-plush pillows and down feather duvet all piled atop a Sealy Posturepedic bed. Ranging from 32 to 36 sq m, the rooms are accented by soft palettes of soothing tones and punctuated by specially-commissioned artwork. In such plush surroundings, it is tempting to enjoy a night in. The hotel offers superb in-room entertainment - choose from a wide range of cable channels viewed on a 37-inch flat panel TV, a DVD player, complimentary internet access, an iPod docking station and piped-in mood music. Guests are treated to selected beverages from the mini-bar as well as breakfast at Nectar. Step into the balcony room and experience true tranquillity. The spacious 42 sq m living space extends into a large private outdoor patio, where guests can lounge around or entertain guests. The Balcony Room is the perfect choice for those seeking some outdoor space and privacy. Luxurious bathroom comforts include rain shower with a view of the city, piped-in mood music, plush bathrobes, and branded bath amenities. Guests are treated to complimentary selected beverages from the mini-bar as well as breakfast at the restaurant, Nectar. The Soak Room is a sanctuary for rejuvenation - or an inviting option for the romantic. Wake up in the king-size bed featuring ultra-plush pillows and down feather duvet piled atop an irresistible pillow-top mattress, and look out into the tree-lined streets. And at the end of a long day, guests can soothe away weariness by soaking in a free-standing tub sitting within a large shower area, while admiring the night lights of Singapore. Whether it is the garnet silk wall-coverings, the indulgent rain shower and large tub, or the personal Nespresso machine in the room, the Soak Room is a retreat - and a real treat - for guests looking for time-out. Guests also enjoy complimentary beverages from the mini-bar as well as breakfast at Nectar. The Deep Suite is the ultimate indulgence designed for travellers who require additional space. The multi-functional living space provides a king-size Sealy Posturepedic bed in the bedroom, and through a sliding door guests will find a queen-size sofa-bed in the living room - allowing for privacy and a peaceful night's sleep for families with children. Weaving style and a classic sense of elegance with modern conveniences, the 47 sq m room is also great for travellers looking for a separate living area for small group discussions. From waking up to the aroma of fresh coffee from the in-room Nespresso machine, to an invigorating rain shower with a view of the city, guests can indulge in the multi-sensory experience of the Deep Suite. Guests enjoy complimentary breakfast at the Nectar restaurant, as well as selected beverages from the mini-bar. Free shuttle services are available to the shopping and business districts. Additional facilities include a fully equipped fitness area. Year of establishment and/or latest refurbishment: 2009. Restaurant closed: The Nectar restaurant is open from 07:00am. to 22:00pm. daily. The Rabbit Stash rooftop restaurant is open for lunch from 12 noon to 14:00pm. (Tuesdays to Fridays), dinner from 18:30pm. to 10:30pm. (Mondays to Saturdays), and drinks with tapas from 15:00pm. to 12 midnight (Mondays to Saturdays). Nearest airport: Singapore Changi Airport - 22,8 km. Golf - 6,5 km: Sentosa Golf Club.